Designed to fit snug under your current hammock keeping you warm and toasty. 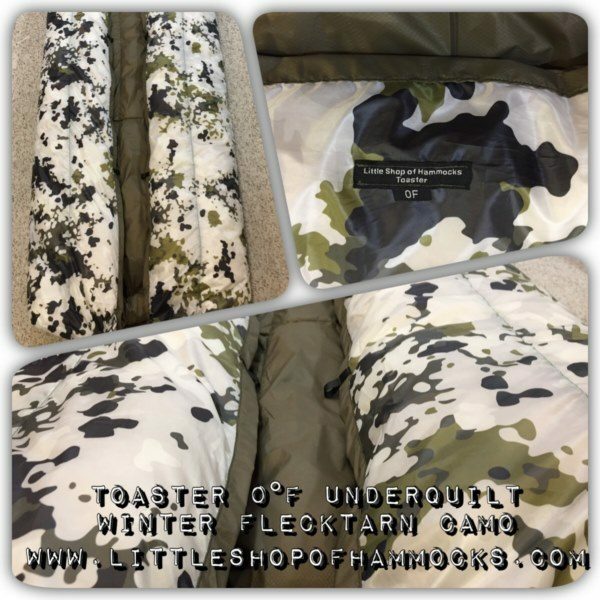 The Toaster UQ’s will work with all ‘gathered end’ hammocks. The Premium Series of Toaster Under Quilts is designed to hold down in place and keep you warm in the outdoors. 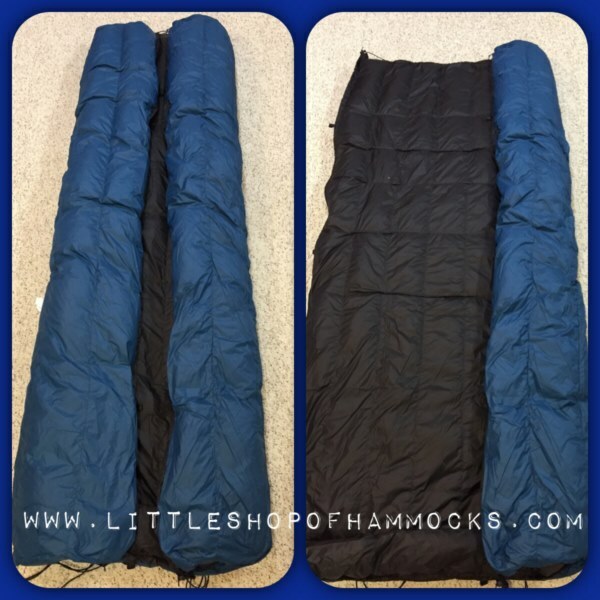 This allows you to ditch your pad and sleep in your hammock with ease and comfort. The Premium series uses a lighter weight fabric to help reduce your bulk and weight in your pack and gives you the option of a Canadian Produced and Sourced High Fill Power 900FP White Goose Down or 800FP Supreme Loft Down. 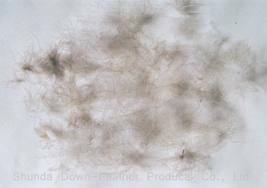 The down is Ethically Sourced and produced by Canadian Hutterites know for the highest quality down in the world. To install simply clip the provided S-biners onto the end loops of your hammock and adjust the height using the line locs on the corners of the quilt. From there simply cinch up the end channels to prevent air movement. 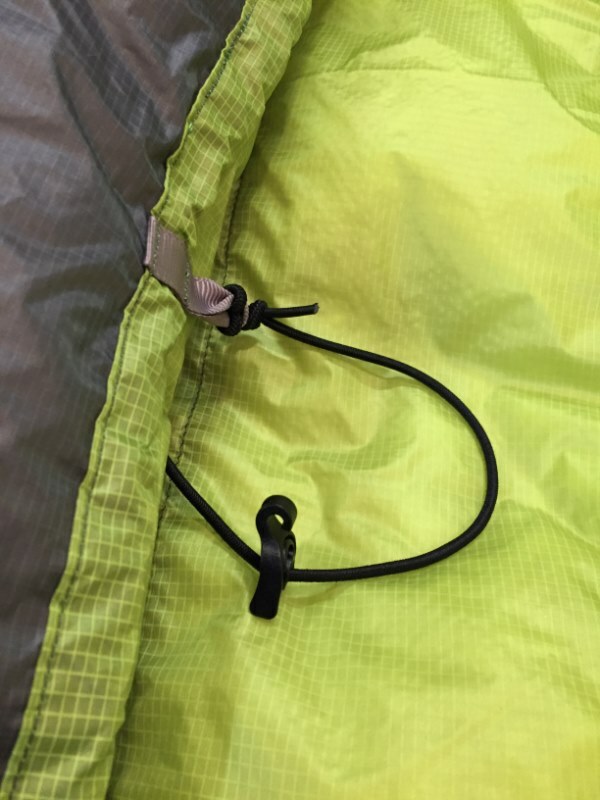 There are loops along the length /sides of the UQ to help secure the quilt to your hammock. 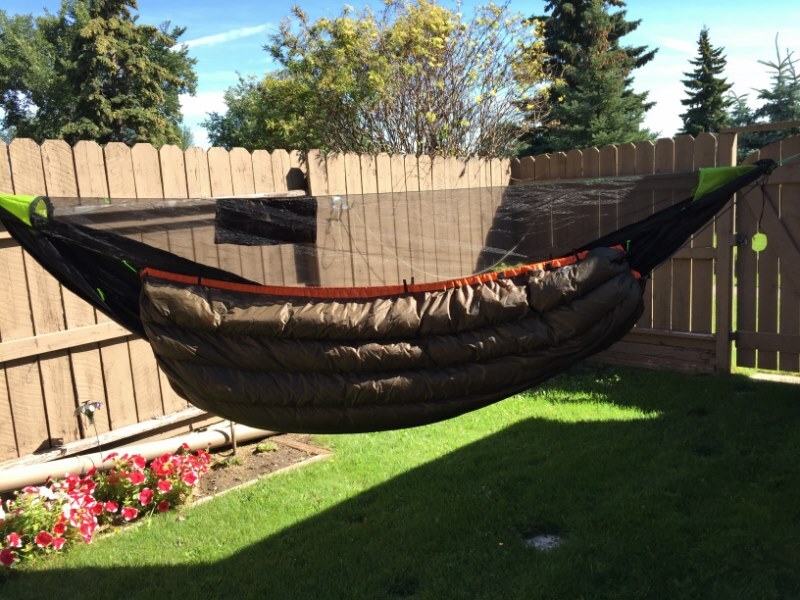 Also included are two shock cord attachments to hook up to the foot and shoulder attachments of your hammock. The Toaster Underquilt implements a closed baffle design. This means there are no gaps on the inside that could let down move chamber to chamber (unlike other vendor’s quilts). Also included is a draft collar at the foot end to aid in preventing cold air from coming in. All of the quilts are overstuffed with 25% more down than standard. This helps in maintaining loft over time and helping in keeping down in place. 9 baffles lengthwise to keep the down where it should be. Print2Fabric – Printed patterns option. 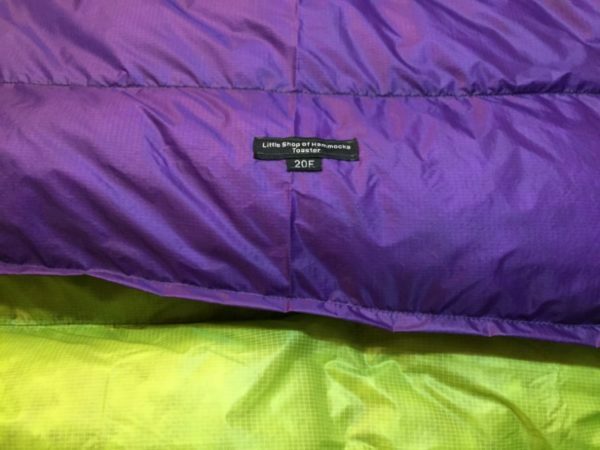 If you are a cold sleeper consider adding a couple oz of overstuff to your quilt (link here) or going to the next warmth level. Weights are for .90/yd fabric (draft tube and stuff sack not included in the weight). 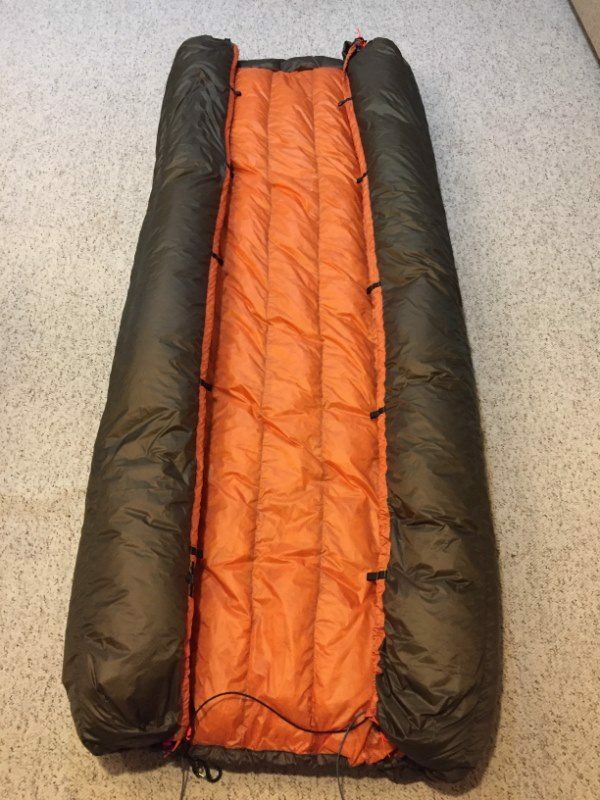 I wanted to give you an update on this underquilt after trying it out. The fit on my blackbird xlc was almost perfect. The elastic loops you had on each end worked perfectly, and I simply placed them on the gathered end of my hammock. The baffle on the inside was great for stopping any air gaps. I would almost recommend one on each end though. On one end, the through elastic adjustment end came through in the night. I saw the plastic adjustment piece was small enough to fit inside just barely. My tossing in the night must have helped it. I put an extra couple of stitches in and it won’t happen again. The loops on the sides of the quilt were AWESOME with the extra elastic you supplied me with. I attached a clip to one end, and used a taut line hitch on the other. The effect was that the sides didn’t move during the night, and I was never cold. Now, warmth factor was WAY more than I was expecting. The quality of the stitching was superb, and the ease of use was off the chart. 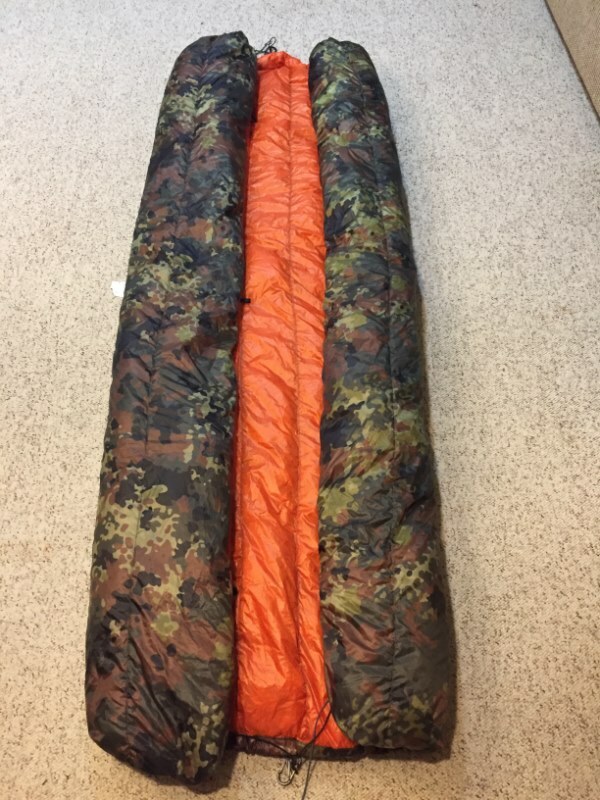 It’s easier to use than my yeti underquilt built by Warbonnet. I only wish I had found you earlier, I would have bought ALL my hammock stuff from you. You’ve got a customer for life. 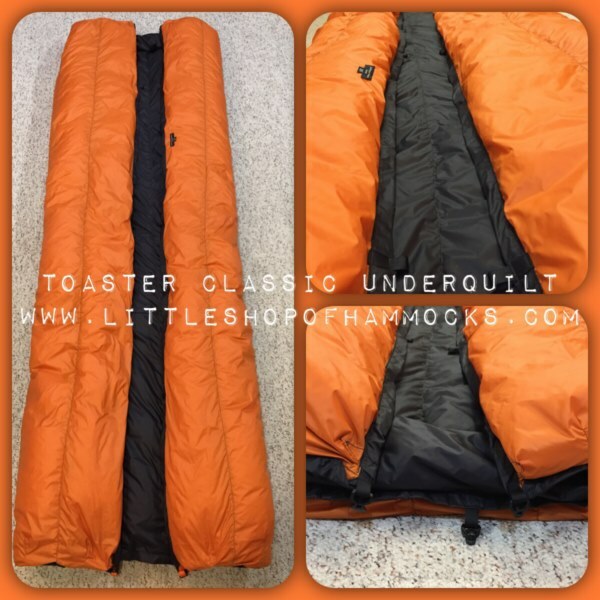 Oh, and you were right about the underquilt protector. You’ve probably already noticed that I placed an order for it. One of the nights I was sleeping, there was a small ice storm. The only place my setup got wet was my underquilt, as the rain would splash on the ground, and come back up. I should have listened to you in the first place. I ordered a Toaster 0 F under quilt, it was made and shipped within two weeks. 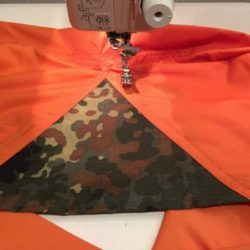 I was kept well informed throughout the whole build process, James even took the time to send me a few photos of it in production, as well as double checking my fabric colours before he started. I must say that customer care and satisfaction are a priority for him. Now to the quilt itself, the workmanship and attention to detail are top of the line, the man can sew, he probably could have used his talents to make high end fashion, I’m glad he choose to use it to make quilts instead. All the little extras, draft collar and the extra cinch on the foot end ensure cold air wont be sneaking in, secondary suspension it all adds up to a high end product for a competitive price. 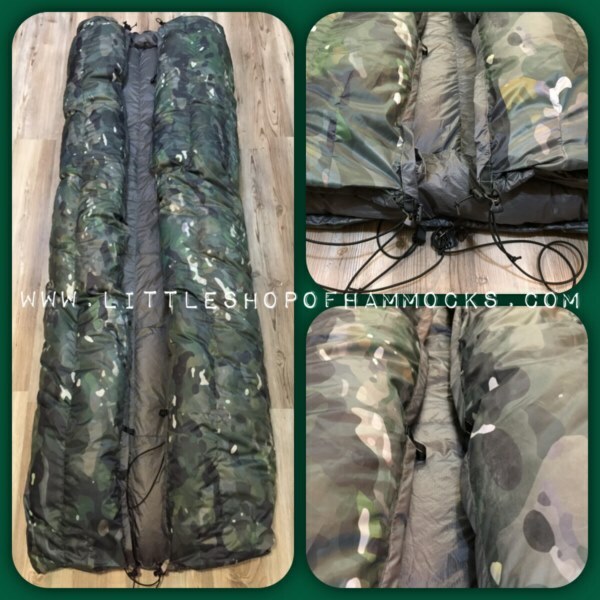 I just received my UnderQuilt and protector in the mail from Little Shop of Hammocks yesterday! They’re so gorgeous. 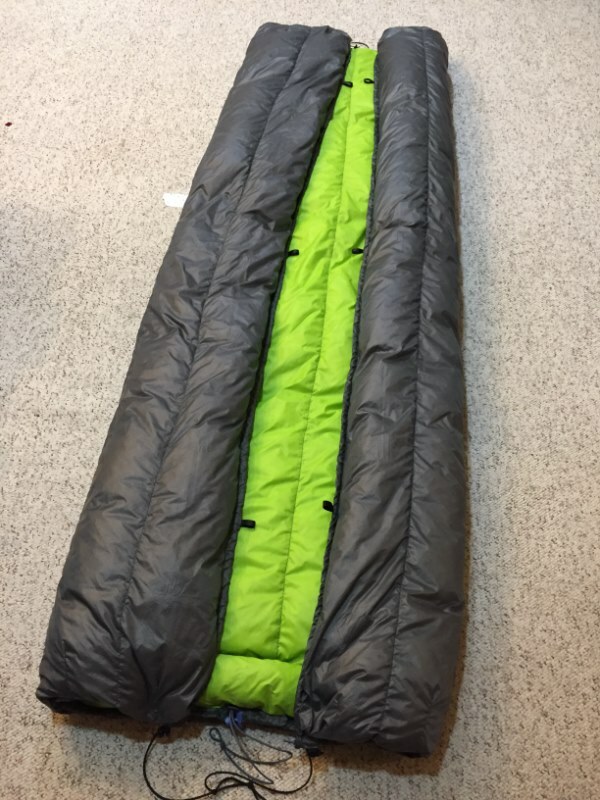 I purchased a -10C quilt in March, and have been able to use it many times since. 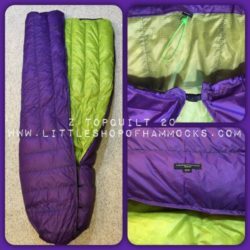 I’ve used the quilt down to 2°C, and found it kept me perfectly comfortable (used in conjunction with a 0C top quilt). This product fits my Hennessy very well, is easy to set up, and is extremely well made. I originally thought I wanted peripheral shock cord, but the four corner suspension on the quilt works perfectly on its own. The top and bottom quilt combo is the best setup I’ve found. Customer service is top notch. I only wish I had come here for my top quilt as well. 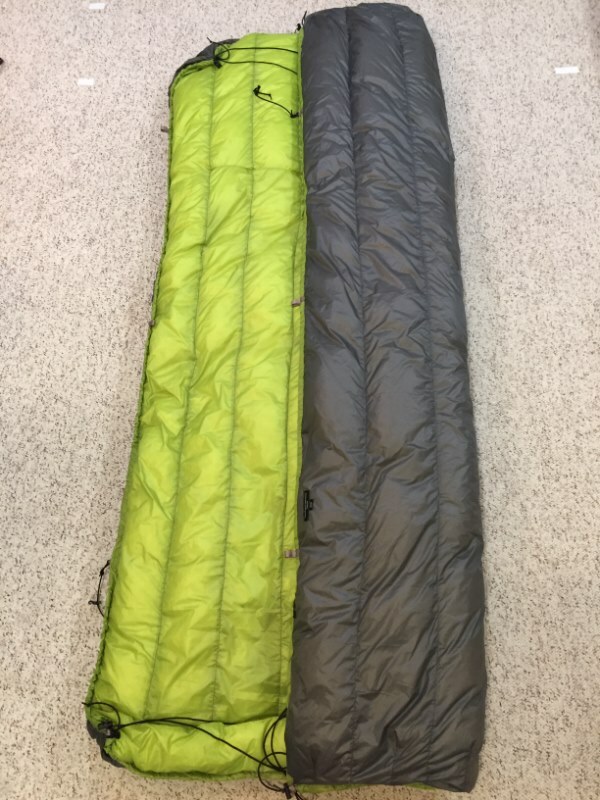 I’ve been using my 0°C under quilt for over a year now with nothing but warm nights. 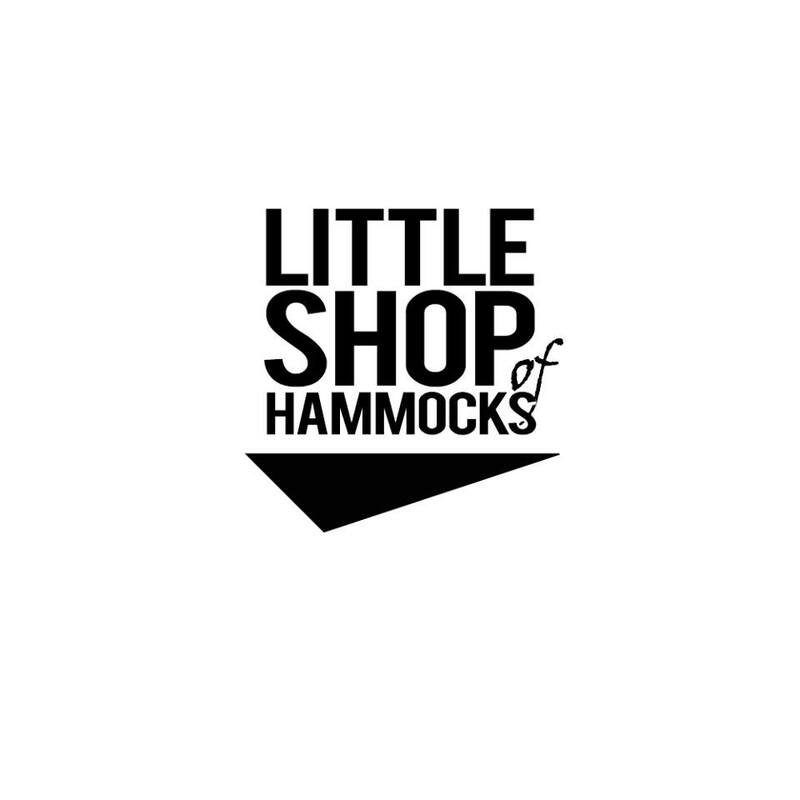 As suggested, set up the hammock in your yard and have someone help you make the adjustments to its set to your preferences. Once you hit the field, its just a matter of clipping on the S biners and you’re all set. Does it keep you warm? In summer months I slept in underwear with no top quilt (brought one, didnt need it) and in the cooler spring and fall my Top quilt from James completed the set up. Have no doubts about the quality of the material or workmanship, and if you’re like me and skeptical that something so light can be so warm, rest assured it is THAT warm. Just came back from a one week canoe camping trip while using the 20F toaster UQ and wow! 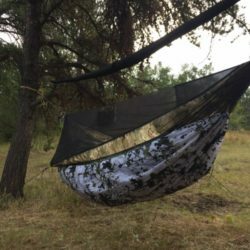 I never sleep that warm in a hammock since I started hammock camping three years ago. The quality of the product in seriously amazing, the two friends that came with me were amazed on how easy it is to setup this UQ. Thank you very much sir and i’ll definitively buy a top quilt from you in the near future.